As a 60-year-old missionary sending agency, CBI was also affiliated with the Conservative Baptist denomination, complicating Hans’ desire to pursue a change. But an M/J team was assembled to research the issue and develop a strategy not only to change the ministry’s name and visual identity, but also to help retool its website and recruitment strategy and materials. In addition, a series of electronic and printed communications were developed to involve partner churches, prospective missionaries and existing missionary teams, keeping them abreast of developments and soliciting their feedback to “rounds” of potential names. This included a series of on-line surveys that checked combinations of brand characteristics and their importance to various constituencies, as well as rating and ranking potential name selections. Ultimately the M/J team, working with a selected committee representing various groups within CBInternational’s staff and management, narrowed the choices from more than 600 possibilities to five recommended names. 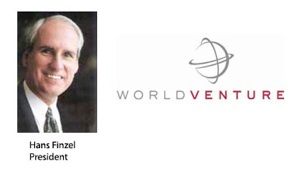 From these the name WorldVenture was selected to replace CBInternational. Building the brand beyond a new name meant selecting new corporate logotype, colors, typestyles, imagery, and using them to create new marketing materials. Much of that effort was carried out in-house by the ministry’s marketing-communications team. M/J provided assistance -- particularly in the creation and implementation of a new website -- a partnership that involved a number of WorldVenture staff working with M/J senior consultant Ron Frey. During the eight month process, M/J also helped the CBI/WorldVenture team to shape vision, mission and values statements that serve as the foundation upon which the “new” organization stands. WorldVenture continues to address issues surrounding the re-branding -- it isn’t easy keeping more than 500 staff deployed across the globe on the same track! But in Hans Finzel’s mind, the project was an overwhelming success.